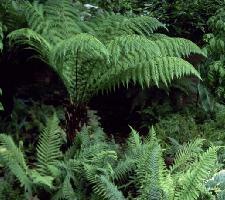 Talks from the Fern Nursery. If you are a member of a garden club, social club or natural history group, you may be interested in the talks, (all illustrated with original photographs), which are available from the Fern Nursery, and listed below. 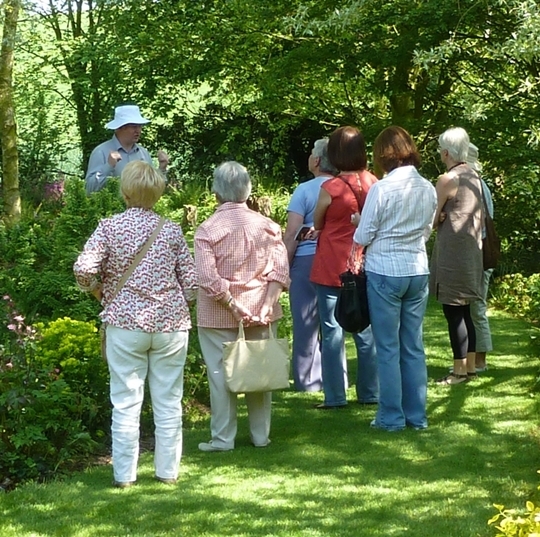 We can also offer group visits to our Lincolnshire garden and nursery, with if you wish refreshments and guided tours of the nursery and garden, demonstrating how we produce the ferns, manage the garden and showing many of our favourite (including none fern) plants as well. Wild flowers in the garden, garden escapees in the wild, and some that belong to both worlds. Growing wild flowers in the garden, and the stories they tell. Cost.- £2 per person in audience, up to £64 max, + expences. A wide ranging talk about all aspects of ferns, their Natural History, Economic Uses, Folklore, where to see them, and of course all about growing them in the garden. We aim to make this much more than a catalogue of plants. We can also bring plants for sale. Covers most of the basic principles that the amateur gardener should need to know. Should help you gain confidence to tackle even quite challenging subjects. Practical demonstration. Cost.- £2-50p per person in audience, + expences. 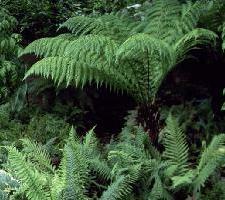 A version of the 'World of Ferns' especially suited to wildlife groups, a wide ranging talk about all aspects of ferns, their Natural History, Economic Uses, Folklore, where to see them, how to put names to some of them, and fern conservation. A gardener's, perhaps quirky, personal views of the gardens, landscapes and wild flowers of the Mediterranean and the sub- tropics, especially what we can grow here in Britain and how the south has influenced northern gardening in the past. A light hearted look at the life of a garden designer, his customers and gardens , but this talk will, still help you with your own garden covering as it does the basics of layout and planning. All about a nurseries experiences at garden shows, how we do it, why we do it, who we meet there, and what to look for if you visit a show. "Please don't turn your backs to the camera."